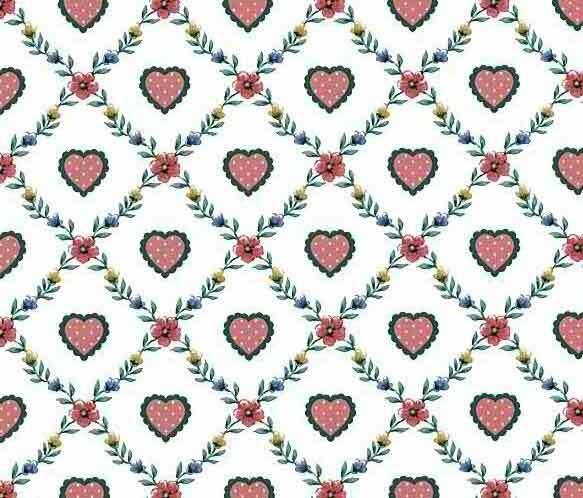 A delightful hearts vintage wallpaper pattern of Pink hearts with white polka dots and blue scalloped edges encased in a diamond pattern of Pink (with hints of Red), Yellow and Blue flowers separated by Green leaves. 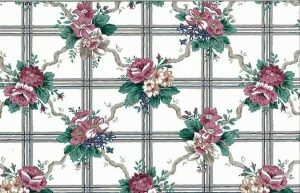 This pattern has all the makings of a modern country classic. 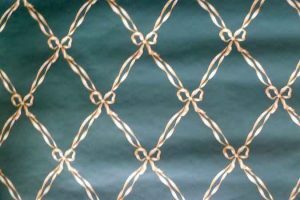 Use it in a Guest Bedroom or Kitchen.